When you think of California, sun and sand automatically come to mind, and with good reason. There are literally hundreds of miles of beaches to explore in this coastal state, offering everything from surfing, camping, sunbathing or even bodybuilding! Check out some of the top beach spots in the aptly named Golden State. 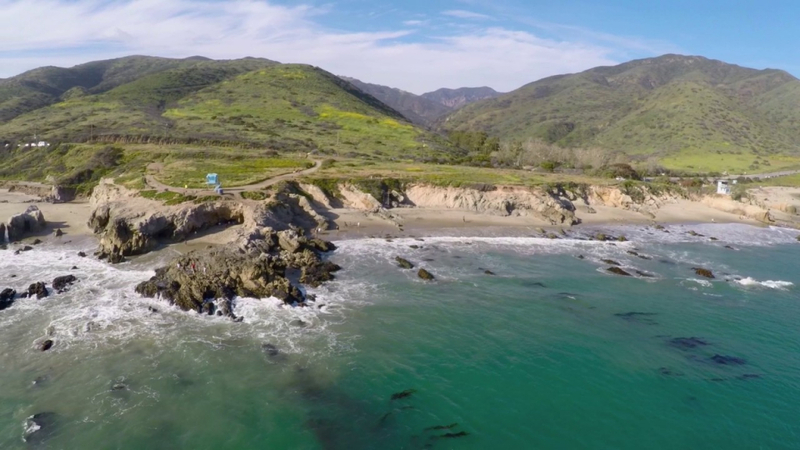 Located just off California’s Highway 1, at the foot of the Santa Monica Mountains in Malibu, Leo Carillo State Park combines 1.5 miles of beaches with some of the best camping and hiking opportunities around. Explore tide pools and caves, or get in some surfing and swimming. The north end of the beach is dog friendly and you can make a weekend of it by camping at the adjacent park, which has a beautiful campground, along with showers, bathrooms, and a general store. For family-friendly, relaxing beach time, Oxnard Beach Park is the perfect choice. Nestled right along the California Coastal Trail and Pacific Coast Bicycle route, Oxnard Beach features tree lined pathways, barbecue areas, and plenty of space to set up your beach umbrella. Kids will enjoy the play areas and there are several nearby restaurants for those who don’t want to pack their own picnic.